Are you searching for the best running shoes for men in India? There are many available on the market. But the real challenge is to find out what are features that you have to look for. Maybe you have a budget in your mind. You may search for the best running shoes in India under 5000 rupees. I mention that because 5000 is the average Indian budget for a pair of running shoe. If you are planning for trekking, running should be the one of the necessary exercises for hiking. 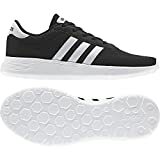 When you are standing on a shoe store or browsing the e-commerce websites, most of the good-looking running shoes seem to be perfect for you. But the reality is different. The trail you are planning to run. On an average, a good pair of running shoe 500 to 600 miles of your running distance. In general, if you are a regular runner, your running shoe will last 5 – 6 months. Let’s find out what types of midsoles and outsoles are serve your running purpose. Road running shoes are designed to perform on the hard running surface like pavements. Naturally, they are light and flexible and armed with the cushion to save your feet from hard strike back from the covers. With this cushion effect, the chance of injury reduces on the hard running surface. Trail running shoes are the champion for the off-road track running. As the trail is carpeted with rocks, mud, or other obstacles, the shoes are equipped with solid traction, stability, support, and underfoot protection. Cross training shoes are generally designed for a gym or other cross-fit training. Those activities require balance and firm grip with the ground. Accordingly, the cross-fit shoes have a thick sole, and they offer you good stability and grip on the ground. What are pronation, over-pronation, and supination? Pronation, supination, and over-pronation are defined by the side to side movement of the foot when you are running or walking. For the foot structure, there is slight inclination inward or outward. When your feet are in a neutral position, you have the less chance of injury to your softer tissues and ligaments. On the contrary, if your feet are in pronation, over-pronation, and supination, there may be the chance to injure your soft tissues. Types of running shoes depending on the pronation of the feet. Neutral runner – These shoes are good for the neutral foot position or the mild pronators. These shoes offer you feet high comfort with shock absorption and medial side support. There are super-cushion shoes available in the market. They offer 50% more cushioning than the regular shoes and therefore, offer more comfort to the feet. Stability shoes – These shoes are good for the runners who exhibit mild to moderate over-pronation. Mostly they are designed to support on the arch side of each midsole, an area profoundly impacted by pronation of the feet. Motion Control Shoes – These shoes are the best for the runners who have moderate to severe overpronation. These shoes are a good solution if you have stiffer heels to counter overpronation. Barefoot shoes – These shoes have minimum protection between your feet and the ground. Many of the shoes have no cushion, and heel pad is also a very thin layer. It is 3-4mm thin pad between your feet and ground. Minimalist shoes – These shoes are very lightweight. They have very little or no arch support and heel drop of 4-8mm for the natural running motion of the runner. The life of the minimalist shoes is 300-400 miles. At the back, the collar is turned away so it doesn't rub against your Achilles tendon.